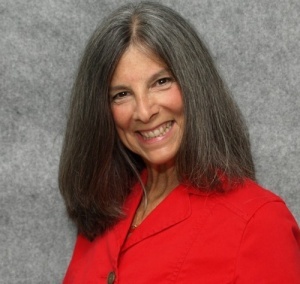 Ellen Jaffe Jones is the author of her publisher's #1 best seller, Eat Vegan on $4 a Day. As an Emmy-winning TV investigative reporter and anchor for 18 years, Ellen got tired of seeing stories on the news with obese food stamp recipients saying, "You can't eat well on a budget." Vegan for most of the past 30 years trying to dodge a family history of breast cancer that got her Mom, Aunt and both sisters, Ellen continues to place in 5K races for her age group and did her first marathon 2 years ago. She was the 5th oldest female to finish the Palm Beaches Marathon. She didn't get all the good genes and has blood tests that show a vegan diet saved her from pending heart disease and a life of doctor-prescribed medicines for colon disease. Ellen is an Aerobics and Fitness Association of America nationally certified personal trainer and a Road Runners Club of America nationally certified running coach. She is a personal trainer at Island Fitness in Holmes Beach, FL and a volunteer cross country coach at Manatee High School in Bradenton, FL. She is a health and fitness columnist for the Anna Maria Island Sun and The Running Journal. Initially for health and animal rights. I began going to meetings in the 1980's and saw some of the first undercover videos about circus elephants being abused during training. When I was 28, I almost died of a colon blockage. The same year my sister got breast cancer for the second time. I began eating a macrobiotic diet that included fish. I found the rules too restrictive for my busy schedule, so I morphed to a vegetarian diet. For most of the past 30 years with several regressions. When I worked at Smith Barney as a financial consultant, we had many catered meals and working lunches where the only choice was what topping we wanted on our pizza. I gained weight and when we moved to Florida, I had hemorrhaging fibroids that caused the ER docs to say I needed an immediate hysterectomy. My regular OB got on the phone and said, "Go back to that plant-based diet and call me in the morning." 3 weeks later, all signs of menopause were gone, including the hot flashes. Even my skeptical hubby was blown away. Avoiding being on medications for colon issues (docs said I would need to), and avoiding a hysterectomy. Peace of mind, knowing no animals were harmed. As technology has improved, with the amazing documentaries shot inside factory farms, it is hard to stick our heads in the sand and pretend that we don't see. Life-saving, great healthy, enhance athletic performance and enjoyment of life. Certified Personal Trainer (AFAA - Aerobics and Fitness Association of America), Running Coaching (RRCA - Road Runners Coach of America Certification). I'm also the volunteer assistant girl’s cross country coach at Manatee High School in Bradenton, FL. For myself, I try to run at least 3 miles every day or every other day, with a long run 5-6 miles on weekends. Since I work with clients in a gym, I cross train as often as I can in-between clients. Due to a metatarsal arch stress fracture several years ago from running on the beach (did too much too soon, even though I didn't think so), I try to run on soft surfaces like trails and the beach when it is flat and ideal, as much as possible. I've been running and/or walking since 28. I try to take a rest day in my old age ;) once a week. I try to do a 5K race once or twice a month during the running season which is about 8-9 months long. The biggest question I had when I moved to Florida was, "how do you workout or run during the summer here?" Answer: At sunrise. During our tourist season, I'm booked with clients at our local gym and for personal hire. My personal hire clients love the variety I provide in their own backyard. I combine the workouts I do for the kids on the high school team with my personal training gym workouts. The feedback I get is that it is fun, varied and effective. Since my book came out last June, I've been on the road most weekends at the request of my publisher doing trade shows and the largest vegetarian festivals in the US and Canada. My publisher tells me I'm unusual as an author because I really do engage with the public and enjoy public speaking. With 18 years in TV news, and subsequent media consulting for some of the most well-known vegan doctors and their organizations, the public speaking was second nature. Running, swimming, biking. Mostly running. I did my first marathon last year and was the 5th oldest female to finish (Palm Beaches Marathon). I enjoy racing because it really helps you improve performance and maintain your health and level of fitness. They don't get enough (fill in the blank). Protein, calcium, variety, fun in life. All so not true! I usually "smoke" my age group in 5Ks. Though there are some faster than me, but when I look at them, their legs are usually up to my neck or they are just built differently. At 5'3" I've been very pleased with my performance. When I started running again after a long break and did races, I would often answer the post-race question, "How did you do?" with, "Finished without injury." Because I have been injured, I understand how difficult that can be, especially as we age. Avoiding the family genetic and environmental history that gave my Mom, Aunt and both sisters breast cancer. We were part of the original breast cancer gene studies. My sister, both parents and all grandparents had diabetes and major heart disease. They all see what it has done for me. My clients know about me before they sign up. Even if they have no interest in going vegan or vegetarian, they know I'll require them to keep a food diary. Part of what I do with clients is discussing how motivated they are to change and what they are willing to do to make that happen. I'm the youngest in my family of origin. I've had a lifetime to figure out what works and what doesn't in our family. Does black sheep or cult member labels ring a familiar bell? I've been called it all. My husband is not vegan but has seen how it has improved my health and helped me lose 25 pounds over 6 months. What do I eat? And how do you get enough to eat or to do all that racing? My best friend Lori, died of breast cancer about 10 years ago. We took Lamaze classes together. She tried to change her diet the last year of her life, but it was too little too late. She said to me on her death bed, "Take care of my kids." She had a great husband, so I didn't need to really take care of her kids. But I honor her request by trying to spread the word that a vegan diet can do incredible things. Health is just one of them. I'm convinced it has helped me to avoid our family history of breast cancer. I've yet to meet anyone as I travel, who has my identical history with a Mom, Aunt and both sisters having breast cancer. I'm still waiting for someone to study me. But, as I say in my book, when you understand there's no money in broccoli, you understand why you have to be your own investigative reporter and figure out what works for you. Snacks (healthy & not-so healthy) - Love Larabars. Many smoothies, some with protein powder after a race or hard training. Don't laugh: plain vegan chocolate chips. All by themselves. Fruit smoothies with greens like bananas, berries, mangoes. Occasionally a multi vitamin, if I feel like I need one after heavy training or a race. B12 of course. Losing weight - Juicing, lots of salads, ramping up exercise. For me, running is the only thing that works now. Walking will help me maintain, but I've found that women my age really need to ramp up the exercise routine to maintain or lose weight. Maintaining weight - Exercising at least every other day...preferably aerobic workouts during that time. Though aerobic cross-training works on alternate days too. I'm a big fan of the Jeff Galloway books for starting a walking or run/walk program. As I certified personal trainer/running coach, I custom design programs for individuals based on their injuries, history and goals. Many clients don't care about losing weight, they just want their clothes to fit better, improve energy or fitness. Improving metabolism - Walk/run bursts. Getting up out of the chair. Toning up - Spot weight training. Generally not a fan, but it is amazing how much the arm flab comes running back when you let the upper body workouts slide. Every waking minute it seems. One of the reasons my publisher believes my book has been so successful is because of my social media presence. He's asked me to coach other authors on doing the same. My website, or on Facebook and Twitter. 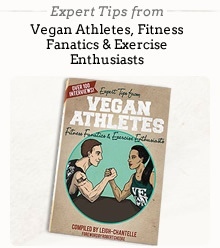 I also have additional Facebook pages: Vegan Athletes, Ellen Jaffe Jones-Author and Personal Trainer.